Does the BMW i3 (Sport) still impress after living with it for a time? 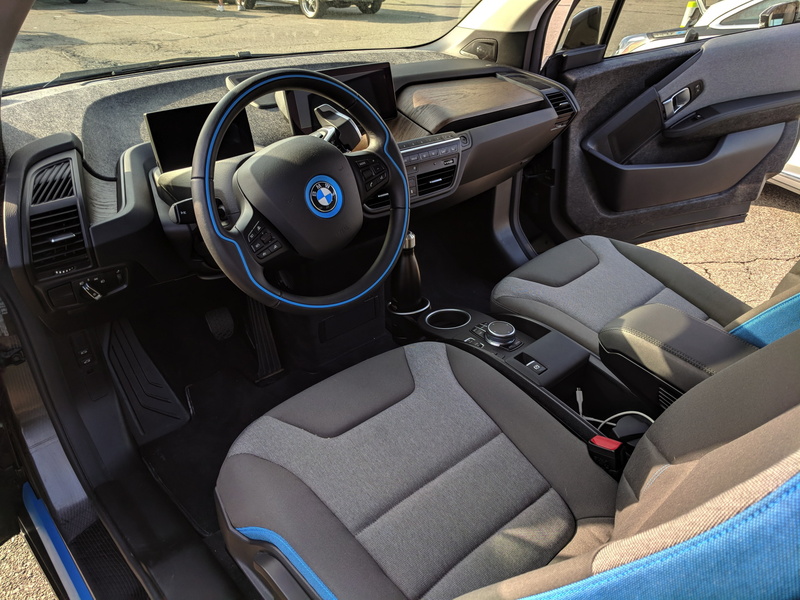 After a little over three years with a 2014 BMW i3 REx, I picked up my 2018 BMW i3s BEV on December 30th, 2017. It was actually the very first i3s delivery in North America. I had a little over 72,000 miles on my i3 REx when I had the unfortunate luck of crossing an intersection at the same time a woman was looking at her phone when she should have been stopping for a red light, She subsequently t-boned my car on the passenger side, sending it to an early retirement. It all worked out well, though. At the time I had my eye on the just-announced Sport version of the i3, and this gave me a legitimate excuse to upgrade. I would also be upgrading from the original i3’s 21.6 kWh battery to the larger 33.8 kWh pack which was introduced in 2017. The added battery capacity allowed me to ditch the range extender and go back to a BEV, after driving BEVs for five years previously. Not long after I picked up this new Sport version, I stated in a post here that this is the i3 that BMW should have given us in 2014, and the six months I’ve had it has only reinforced that. Don’t get me wrong, I thoroughly enjoyed my 2014 i3, but BMW is a premium brand and one that prides itself on the driving experience. There should have been a Sport option available right from the start. I also believe that BMW should have figured out a way to stuff more batteries in the original i3, so it could deliver a solid 100 miles of range. The original i3 BEV delivered only 81 miles per charge, which is why I needed to get the range extender. Sure, you could squeeze out 100 miles in perfect conditions, but in the harsh winters of the northeast, it would sometimes only deliver about 60 miles of range. With my 2018 i3s, I was able to average 90 miles of range in the coldest winter months, and now that it’s warmer, I’m having no problem getting 120+ miles per charge. The i3s has 14 more horsepower (184 hp vs. 170 hp), and 15 more lb-ft of torque (199 lb-ft vs. 184 lb-ft) than the regular i3 models. The increase in power isn’t really felt much at the low end though, and BMW’s claimed zero to sixty times are only .4 seconds faster (6.8 sec vs. 7.2 sec). The real difference in power is felt at speeds above 40 mph. The car pulls strongly all the way up to 90 mph, and the top speed is 6 mph higher than the regular i3 (100 mph vs 94 mph). However, the biggest improvement may very well be in how the car drives. BMW upgraded the suspension to include specially developed springs, shocks, and anti-roll bars. This new suspension is unique to the i3s, and the car is 10 mm lower, with a 44 mm wider track. In fact, BMW had to add fender flares to accommodate the wider track. Add wider tires and 20″ sport wheels and the i3s feels like a different car than my 2014 i3 REx did. 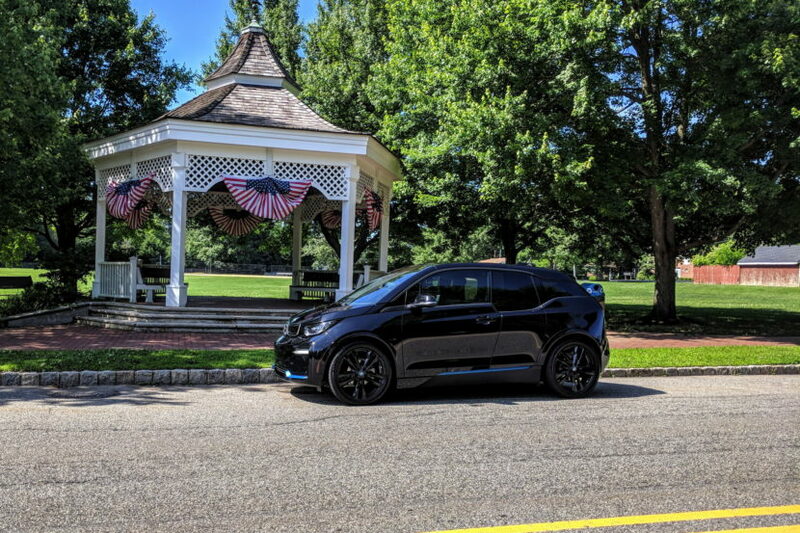 At highway speeds, the base i3 can be a little skittish at times, especially on windy days. The tall, boxy shape and skinny tires were really designed for lower-speed city driving. However, the lower and wider suspension, plus more rubber on the pavement have eliminated all of the deficiencies the base i3 has at high speeds. The car feels rock solid and planted now, all the way up to the electronically-limited 100 mph top speed. The base i3 models have always had three driving modes: Comfort (the default mode) Eco Pro, and Eco Pro Plus. 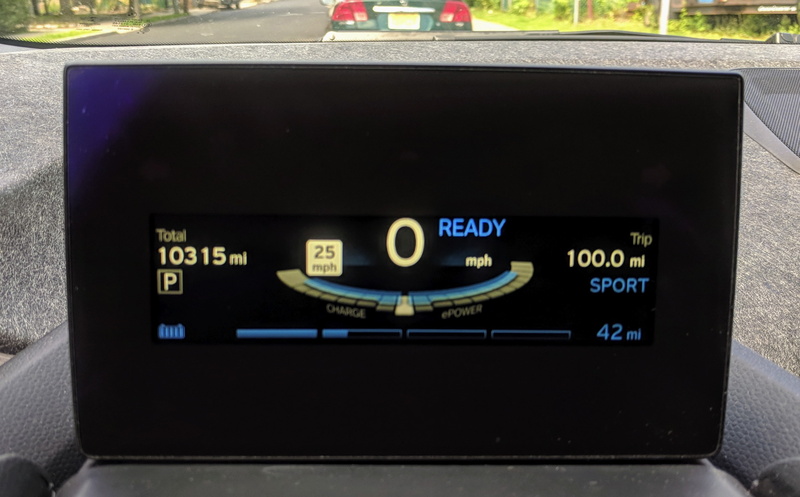 The i3s has all of those, but it adds a new Sport mode. The owner’s manual says that the Sport mode offers a “more direct accelerator response and tighter steering characteristics” and I definitely agree with that. In fact, it can be too responsive at times. If I’m looking for a more leisurely drive, I won’t use Sport mode because the accelerator is so responsive. The car lunges forward with the slightest touch of the accelerator and goes into regen as you back off. The Sport mode isn’t designed for casual daily driving, it’s really set up for those times that you want a spirited driving experience and it delivers. BMW also improved the traction control system from the previous generation i3. This feature isn’t unique to the i3s, but since it’s new for 2018 I didn’t have it on my previous i3. 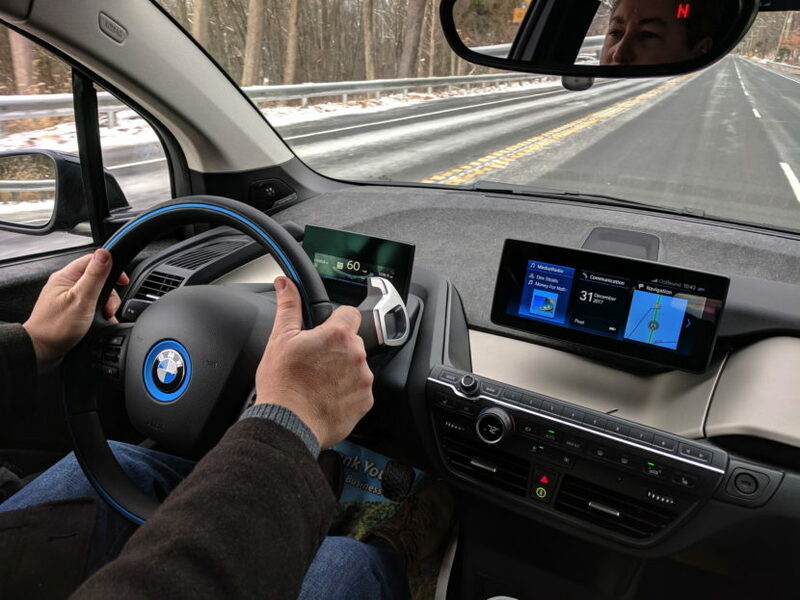 BMW says this new system can crunch data 50 times faster than the previous traction control and offer instantaneous power delivery. That’s mostly credited to the control process being calculated directly in the powertrain, instead of in a remote unit requiring long signal paths. 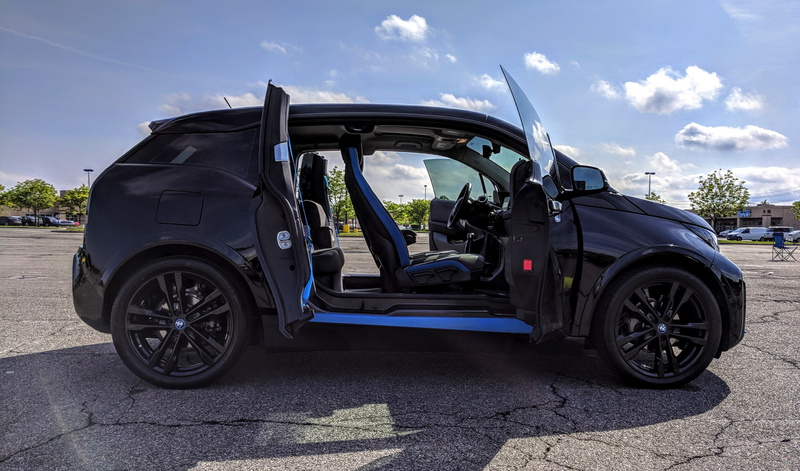 In previous model i3s – as well as my ActiveE and MINI-E, when the car experienced uneven road surfaces, or sharp corners, the traction control system would reduce the regenerative braking, or in some cases completely shut it off in an effort to keep the tires from losing traction. That gave the sensation of sudden acceleration to many owners. If you were in full regen, hit a bump and the regen shuts off, the car freewheels. While it doesn’t actually speed up, it stops slowing down, and that gives the same feeling as sudden acceleration. That is completely eliminated with this new traction control system. I’ve actually gone out of my way to try to defeat it and I haven’t been able to. So while I really am loving the new i3s, it is still far from perfect. The one thing that I can’t get past is how BMW hasn’t added a heated steering wheel and back seats. I can almost forgive them for the back seats, but not for the steering wheel. Every electric vehicle should have a heated steering wheel, period. Especially one that is priced at the higher end of the market. You can really save energy in the winter by using the heated steering wheel and seats, and limiting the use of the cabin heater, and that translated into longer range. While all BEV i3s come with a very efficient heat pump system, the REx versions do not, and have conventional resistive heaters. Also, the coach doors are still kind of a pain at times. Luckily for me, I don’t have any kids, so I rarely use the rear seats. However, when I do, it can be inconvenient for the people sitting in the rear. I have it straight from a high-level BMW i executive that they will not be employing rear coach doors on future BMW i models. Another nitpick is how the windshield wipers drag some of the water back into the view of the driver on their return stroke. This has been the case with all i3 models since the initial launch, and BMW hasn’t been able to improve or eliminate it. It can vary from annoying to slightly obstructing your vision depending on how heavy the rain is. I found that if I use a product like Rain-X, it greatly reduces the issue. With all the said, the i3 is still a tough sell with its current price point. My car is pretty much loaded with every option available, except it has the Deka World interior which is the base interior, and the MSRP was $54,845.00 (including the $995 destination charge). That’s a lot when you consider the comparison (Nissan LEAF, Chevy Bolt, Tesla Model 3). Still, the i3 is really a unique vehicle, and in my opinion after more than four years on the market doesn’t look outdated yet. I still like the interior better than any other EV, and that’s really important to me. BMW knows they are priced high for the segment and have been offering great deals including $10,000 utility discounts (which expire next month!) and very competitive lease rates to ease the pain of the high MSRP. The i3 has been rumored to be getting another battery upgrade at the end of this year, increasing the capacity to an estimated 43.2 kWh. That will exactly double the size of the i3’s original battery offering which had 21.6 kWh capacity. If true, that would most likely bring the i3’s EPA rated range up to around 150 miles per charge. 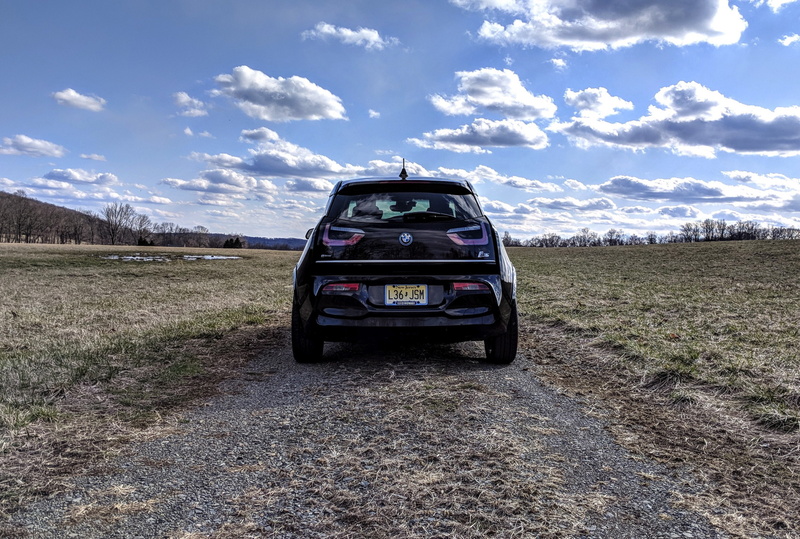 Since I’m getting 120 – 130 miles per charge on my i3s with a 107 EPA range, I’m sure the new i3 will be able to get 175+ miles per charge in favorable weather conditions. The added range of the new battery will most likely drastically reduce the number of range extender models sold. Overall, I’m very happy with my i3s and would absolutely recommend it. Look out for a sizable manufacture discount or special lease rates, as BMW has been putting cash on the hood to help make the i3 more competitively priced in today’s growing EV market.